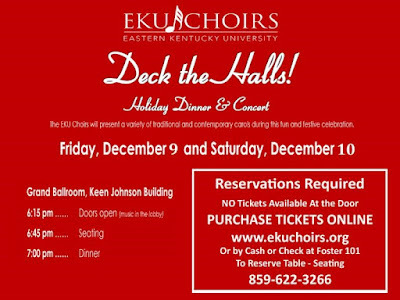 Tickets for DECK THE HALLS are now on sale! 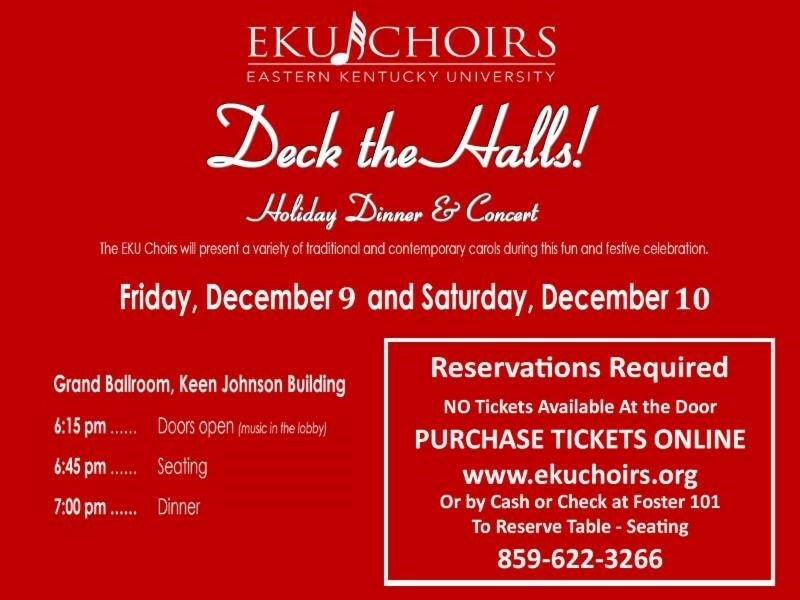 After you buy your tickets, please call the School of Music office at 859-622-3266 for seating arrangements. Tickets are also available for purchase in the Foster Music Building, Room 101. For more information about DECK THE HALLS, click here.